LOS ANGELES, CA--(Marketwire - January 23, 2008) - FilmL.A., Inc. -- the nonprofit corporation that coordinates permits for filmed entertainment shot on-location in the City of Los Angeles, unincorporated parts of Los Angeles County, and other local jurisdictions -- today announced the election of Mel Kohn, CPA to chair its 2008 Board of Directors. 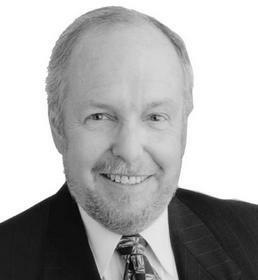 Kohn serves as managing partner of Kirsch, Kohn & Bridge -- an Encino-based accounting firm founded in 1960. He joined FilmL.A. 's Board in 2005, after serving one year on the nonprofit's financial audit sub-committee. He replaces outgoing Chair Bryan Unger of the Directors Guild of America (DGA), and is the first non-entertainment industry professional elected to chair FilmL.A. 's Board. The 25-member Board* represents a range of stakeholders affected by on-location feature film, television and commercial production throughout the Los Angeles region. Members are from local neighborhoods, major studios, independent production companies, entertainment industry guilds and unions, business and civic organizations and film/TV production-related vendors. FilmL.A. services include one-stop on-location permit coordination, neighborhood notification, troubleshooting, and data gathering and analysis. "Mel brings more than 30 years of senior-level business and management experience, as well as in-depth knowledge of our communities developed by years of civic involvement," said FilmL.A. President Steve MacDonald. "In addition, the fact that his experience lies primarily outside the film production industry has helped provide a more balanced perspective to FilmL.A. 's Board." Kohn and his firm handle a wide range of financial and tax issues. He is very active in accounting industry affairs and local business and civic organizations, including the Valley Industry and Commerce Association (VICA), Valley Economic Development Corporation (VEDC) -- where he served as Chair through 2007, and the San Fernando Valley Economic Research Center. He also served as president of the City of Los Angeles Business Tax Advisory Committee (BTAC). Other changes to the FilmL.A. Board include the resignation of members Steve Dayan, Hudson Hickman, and Randy Winograd following lengthy terms of service. New members joining the Board in 2008 include Ed Duffy, business agent with the Studio Transportation Drivers Teamsters Local 399; David Phelps, director of external affairs for the Association of Independent Commercial Producers (AICP); Judy Frank, principal of real estate consulting firm Asset Strategies; and L.A.-based location manager John Johnston. Founded in 1995, FilmL.A., Inc. is a private, nonprofit economic development corporation that provides a crucial link between media producers, local residents and various government entities to sustain the Los Angeles region's status as a global leader in entertainment production. FilmL.A. holds contracts with the City of Los Angeles, unincorporated areas of Los Angeles County, the cities of Diamond Bar, South Gate and, most recently, the City of Industry. Non-municipal clients include the Angeles National Forest and all facilities operated by the Los Angeles Unified School District and Burbank Unified School District. More information about FilmL.A. is available at www.filmlainc.com. * A complete list of FilmL.A. Board members is available at (http://filmlainc.com/html/board_of_directors.html). About this company FilmL.A., Inc.